First news of Valdostana breed is contained in documents dating 1917, although that description does not seem to retrace the present day Valdostana. 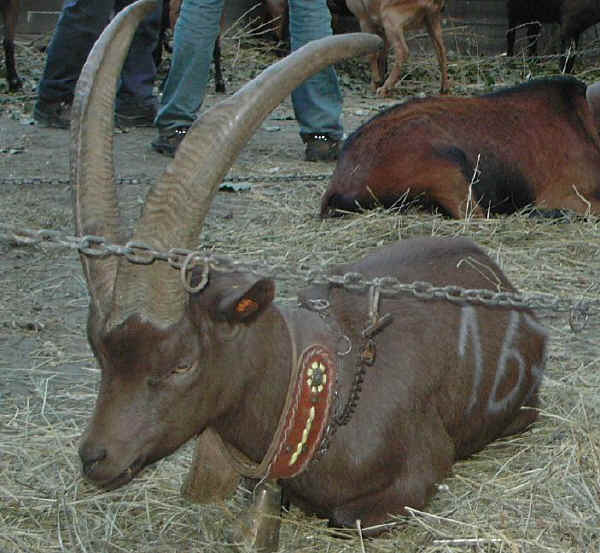 These goats are more similar to the Alpina Comune in some respects, but they are different in the size, the square-built shape and even more in the powerful horns that are present in the females as well. It may come from hybrids between Goat (Capra hircus) and ibex (Capra ibex). Rustic and perfectly adapted to the mountain environment. Various colours in the coat: brown, black, ash grey and dark with a dab of blond. The animals are reared either for kid production or for milk production used to make cheese.